Keeping on with last week’s trend, we’ll be taking a look at another genre of entertainment. 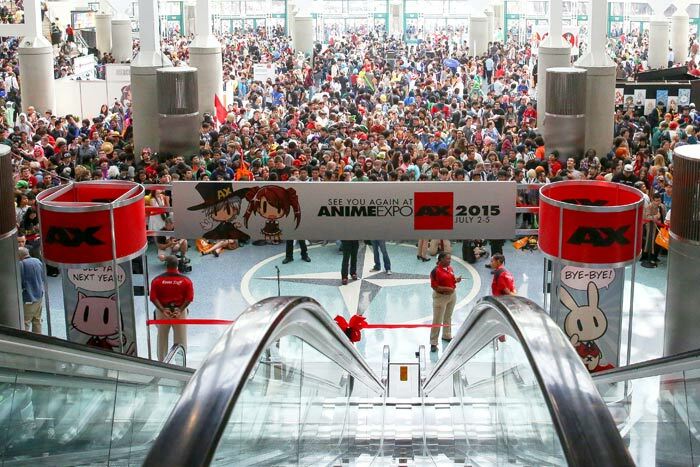 Today we’ve set our sights on one of the main pillars of geekdom: namely, the manga industry. Specifically, we’ll seek to observe how keeping a long-running series relevant can prove a daunting task. 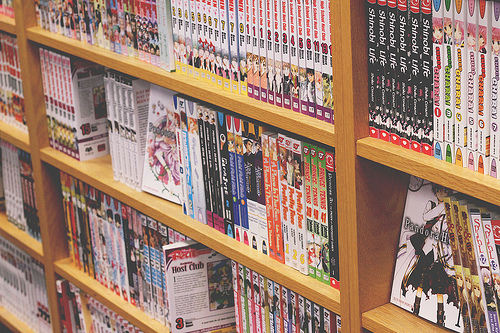 Whether or not you’ve read a manga series recently, there’s no denying that the genre has finally found its stride across the globe. What was once a well-kept Japanese secret has since roared onto the scene, selling volumes, merchandise, and anime box sets in absurd amounts. There are many reasons for this trend, but perhaps the most obvious are the medium’s unique art styles and the ways in which it differs from American comics. Simply put, Japanese manga series tend to be arc-based in nature, in contrast to the typically-episodic serial format of their American comic counterparts. While Batman can have a single encounter with the Joker with relatively no bearing on the entire series’ canon, for a manga series, this is hardly the case. Almost always, you start at the beginning, and each subsequent chapter leads further along in a main storyline, eventually culminating in a finale. But while engaging, this format presents a very real challenge for writers and artists alike: how does one determine when it’s time to call it quits? Plenty of mangaka begin their foray into the industry with a clear sense of direction, only to have their vision warped or extended by the needs of publishers. What begins as grade-A material can quickly devolve into mindless drivel given enough time and thinning out. That in mind, today we’re going to take a look at three classic long-running manga series, and find out how they managed to cope with the pressures of the industry—or didn’t. Can something ever be too successful for its own good? Maybe not, but Akira Toriyama’s legendary Dragon Ball certainly makes a case for it. Originally conceived as a colorful retelling of the Chinese novel Journey to the West, Dragon Ball follows the adventures of Son Goku and his friends as they fight against the forces of evil time and time again. Although the series has since become a household name, from the start, Toriyama never had much faith in his manga’s staying power. But time proved otherwise, and Dragon Ball soon became one of the most popular manga series ever written. Originally intended to run for little over a year, the series lasted for more than a decade, eventually concluding with a whopping 325 chapters and its own hit TV adaptation. To keep the story going, the manga’s length had to be augmented threes time due to publisher and fan demands. To prolong Dragon Ball the first time, Toriyama utilized an ingenious plot twist. As Sequart’s Stuart Warren points out, rather than continuing to borrow from Chinese folklore, he instead took his own journey westward, and infused his tale with elements from Superman. 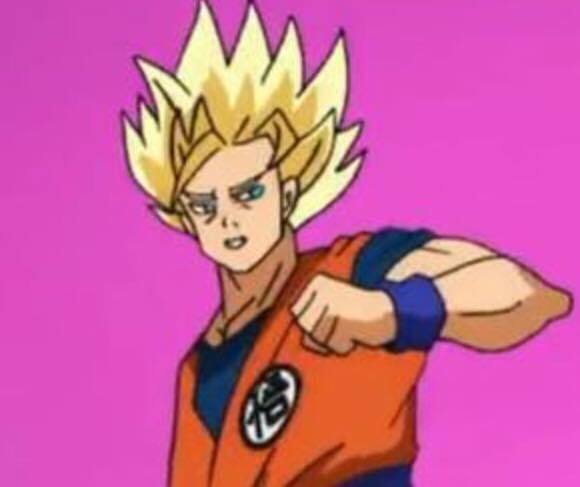 Goku’s immense strength was revealed not to be some supernatural power, but rather an alien strength shared by all members of his now-extinct race. By adding this one new element, Toriyama vastly expanded the series’ scope, and in doing so, forever altered its genre from adventure to action. This proved to be a landmark decision for the Dragon Ball series, one which contributed heavily to its massive success overseas. But the choice came with a risk as well. By pushing the series beyond its limits, Toriyama began to realize the dangers of spreading his original concept too thin. As time went on, he replaced the series’ trademark exploration, character development, and world building with sheer badassery. It was a bold move that paid off, leading to some of the most iconic action sequences in manga history. Though hoping to end things earlier, eventually Toriyama settled on a conclusion for Dragon Ball, one in which the torch was passed from Goku to his son Gohan. Everything ended on a high note, and it felt as though the series had finished properly. But unfortunately for Toriyama, his publishers were dead set on milking his creation dry. 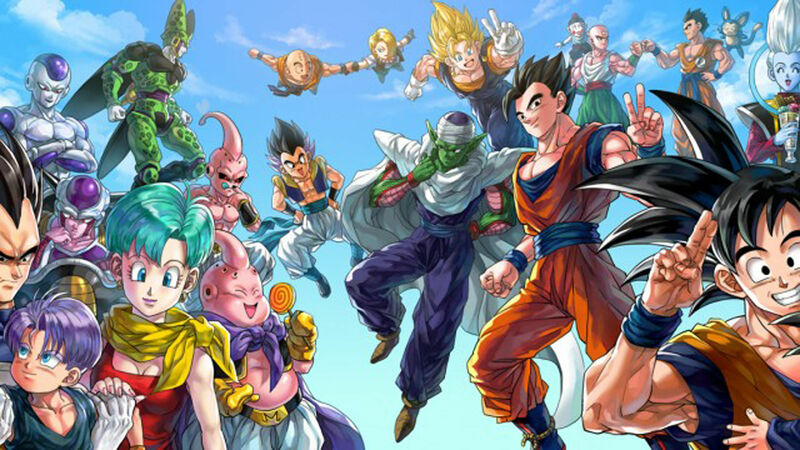 Demanding more from the now-veteran author, Toriyama’s fans and publishers alike cried out for another series extension. They got their wish, of course. But unlike the first time, the author had since exhausted his ability to create new and exciting plot lines for the Dragon Ball manga, and instead relied on inconsequential action to appease readers. The series only lasted for a few more volumes until it reached a decidedly less-satisfying finale. For all intents and purposes, Dragon Ball was finished, and Akira Toriyama could finally take a long-overdue break. But twenty years later, he returned to the series once again, christening his new story Dragon Ball Super. You would think that twenty years of rest would make for a return to form for Toriyama, but Super continues to prove that just isn’t the case. Featuring even less of a plot than before, total character devolution, and some of the worst animation produced by a professional studio, the new Dragon Ball series consistently shows itself to be a pitiful cash grab, and nothing more. An unfortunate development for a once-respected original series. Rather than taking the low road and laughing all the way to the bank, Akira Toriyama should have opted to retire his legendary creation, and instead focus his artistic energy on crafting a new story. Sure, Dragon Ball is an established success, and there was always the risk that Toriyama just couldn’t make the same magic happen again. But as we’ll soon discover, for the manga industry, that doesn’t have to be the case. Chances are, you probably haven’t heard of the absolute gem that is Hirohiko Araki’s Jojo’s Bizarre Adventure. Really, it’s not your fault. Unlike Dragon Ball, Jojo has always had a hard time making its way westward, and for good reason. Beginning all the way back in 1986, Jojo’s Bizarre Adventure is an ongoing fantasy action manga chronicling the many wild journeys of the Joestar family line. But the problem for western markets is pretty clear: with enemy names ranging from DIO to AC/DC, and special powers such as Killer Queen, Metallica, and Red Hot Chili Peppers, copyright laws have all but ensured that us Westerners are out of luck. For those of us fortunate enough (or crafty enough) to get a chance to read Araki’s Japan-only magnum opus, the difference is clear. Unlike so many other manga series that make it here in the west, Jojo’s Bizarre Adventure is in a league of its own, both in terms of quality art and storytelling, and in its inventiveness. Like Dragon Ball, Jojo is the result of very humble beginnings and a great deal of luck. But unlike Dragon Ball, Jojo stands as a series that has never once diminished in quality, despite running now for nearly three decades. How is this possible? In a word, planning. Unlike many of its contemporaries, Jojo’s Bizarre Adventure was and still is a series designed to keep on going and going. Like Toriyama, Hirohiko Araki doubted his creation’s potential to strike a chord with audiences, and never expected for it to stay for too long. But this never stopped him from thinking ahead. Even in the face of an uncertain future, Araki took a risk and crafted a series based on a generational vampiric curse, one in which each arc stands as its own separate series. This risk paid off in spades. 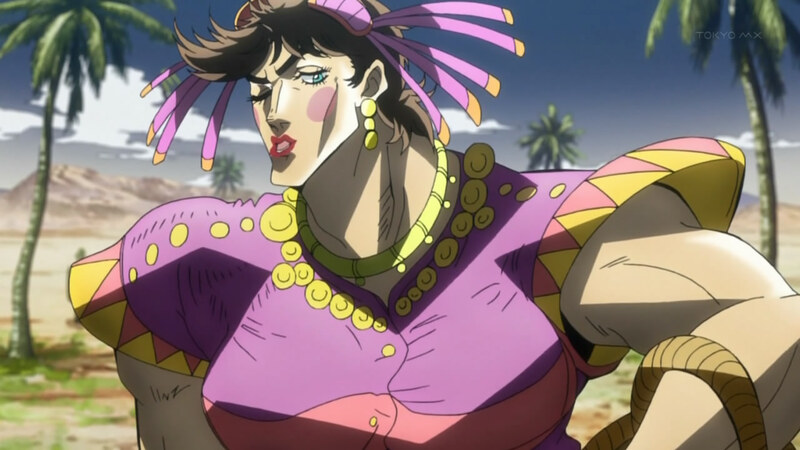 By dividing Jojo up into specific parts, as well as presenting a new protagonist with every entry into the series, Araki ensured that his manga would remain fresh for decades. 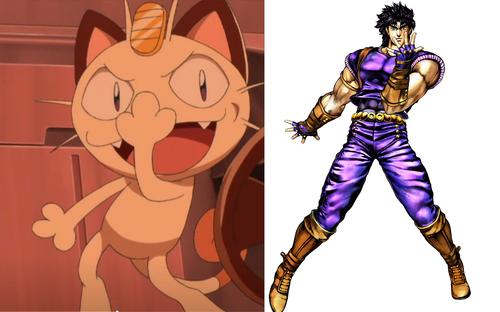 As a result, Jojo’s Bizarre Adventure eventually became a Japanese icon, and a source of inspiration for so many series that followed. In 2012, the series gained a much-needed anime adaptation, one that mimics the same high degree of quality as its source material. Thankfully, with the help of internet anime providers such as Crunchyroll, this adaptation has managed to catch on with Western audiences. But a quick note to those interested in getting into Jojo: it’s bizarre. No, really. We mean, seriously bizarre. Like, dumping an Aztec demigod with luscious hair into an active volcano with help from a Nazi cyborg bizarre. It’s certainly a strange tale. But in many ways, Jojo‘s greatest strength lies in its ability to constantly surprise, disturb, and leave both readers and viewers hungry for more. And to do so for nearly thirty years is a real credit to Hirohiko Araki’s talent as a visual storyteller. By settling on a format that can potentially go on forever, Hirohiko Araki has crafted a rare example of a good thing that only continues to get better and better. By keeping a specific goal in mind with each new saga, Araki stays focused on the story’s outcome, and plans accordingly. What’s more, by utilizing a new protagonist and setting at the start of each new part, Jojo manages to stay relevant and refreshing thirty years on. While there’s no denying that Dragon Ball still stands as the best-known action-oriented manga, this certainly doesn’t make it the greatest ever made. The world of battle-based series is a very crowded place, one filled with other titles that quite often surpass Toriyama’s legendary creation. For all intents and purposes, Yoshihiro Togashi’s YuYu Hakusho ought to be counted among them. YuYu Hakusho tells the story of Yusuke Urameshi, a no-good middle-schooler with nothing better to do than pick fights and skip class. That is of course, until he gets hit by a car and dies. In the first episode. Once in the spirit world, he learns about the nature of the afterlife, and gains special powers necessary to help him fight demons on earth. From then on, he finds himself in a fight for his life almost every other week. But what begins as a rather simple concept eventual evolves into a gripping tale of friendship and personal growth. Unfortunately for its author, however, crafting the manga was no easy task. What started out as a labor of love quickly devolved into a very real struggle for Togashi, during which his health seriously deteriorated. Admittedly, many times he had only himself to blame, often stubbornly insisting on doing everything solo. Crippled by constant stress and anxiety, it’s a wonder in itself that he ever managed to finish the series at all. 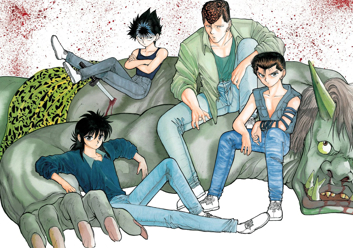 As it stands, there really is a lot to like about YuYu Hakusho. Despite being relatively short in comparison to the other entires in this list, as OCBenji points out, the series does an excellent job developing its central characters. Over the course of its 175 chapters, a ragtag group of bitter adversaries grows into an inseparable group of friends, and it all feels so wonderfully natural. Like Dragon Ball, the plot remains pretty thin most of the time. But because of its likable cast, many of its narrative shortcomings are much easier to overlook. And thankfully, YuYu doesn’t overstay its welcome. Rather than letting his series drag on into mediocrity, Togashi decided to end everything on a high note and let his manga stand as a modest success, instead of a colossal disappointment. And we’re okay with that. On a side note, remember what we said earlier about manga artists finding success more than once in their career? 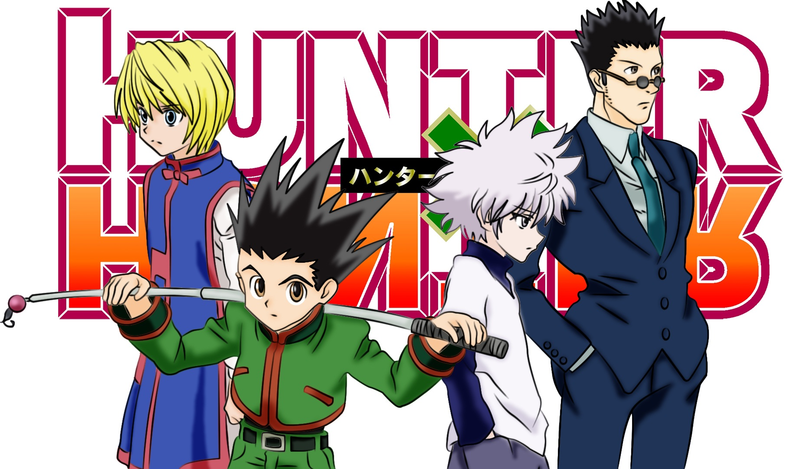 Well, while currently on hiatus, Togashi’s manga Hunter x Hunter is an ongoing series that has already managed to eclipse its predecessor, both in financial success and length. Here’s hoping he finishes the damn thing. For better or worse, Yoshihiro Togashi’s insistence on working alone allowed him to craft a series that was very much a personal project. While at times the artwork suffered from his own self-imposed limitations, the story and characters were always genuine. Best of all, the series left with its head held high, rather than fading off into obscurity. All things considered, it’s an author’s job to keep their creation relevant. It’s easy to say that extended length can be a real danger for manga series, given its negative effects on popular titles like Dragon Ball, and more recently, Naruto. But for every rule, there are many exceptions such as Jojo or the massively successful One Piece that remind us that some ideas deserve more time to develop. And conversely, other series like YuYu Hakusho help stress the benefits of relative brevity. It all depends on the merits of the story, as well as those of the story’s author. What did you think? Can you think of other manga series that overstayed their welcome? How about ones that bucked the trend? Give us your thoughts below!